Arlington, Texas is situated in Tarrant County, which has the third-highest population among Texas counties. With a population of 1.8 million, Tarrant County ranks sixteenth in county population around the US. The County Seat is Fort Worth. The Dallas-Fort Worth-Arlington Metropolitan Area has a population of about 6.5 million. 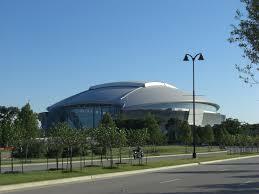 Arlington is 12 miles east of downtown Fort Worth and 20 miles west of Downtown Dallas. Arlington has an area of just short of 100 square miles. The population of the city is just short of 380,000. The city’s climate has ranged between a record high of 113 degrees Fahrenheit and a record low of minus 8 Degrees Fahrenheit. The average annual precipitation in Arlington is 39.6 inches. The problem of pests is as much a predominant one in Arlington as it is around other cities in the U.S. Ants, cockroaches, rodents, and termites are among the problems faced by Arlington residents. Biting and stinging insects include fleas and bed bugs. Mosquitos can be addressed with a range of measures and pesticides can be the last resort. It requires considerable expertise to handle pests and to eliminate them in a thorough manner. Some insects are good for the environment and might be harmed by an approach that is not informed. Each pest has quite a lot of detail with regard to the way it survives and propagates. Among the pest problems that are causing consternation for Arlington residents and around the country is the revival of bed bugs. They were out of circulation for quite a while but have slowly made a comeback on the basis of increased international travel. Bed bugs can be recognized by rusty stains on your mattresses and bed sheets which is caused when they are impacted by the weight of a human body. The excrement of bed bugs can be recognized as dark spots about the size of a small dot. They can be found on seams of your mattress and crannies on your bed. If you have a major problem with bed bugs, they will also be found in electrical installations and the intersection between wall and ceiling and even on the outer portion of a screw. You can avoid bed bugs by placing a cover around your mattress. You need to vacuum your house regularly to get rid of them. Mosquitoes spread the West Nile virus which can prove to be a serious illness for people who are above 50 years of age. The virus has been around in North America for about 16 years. In these 16 years since 1999, the virus has infected more than 30,000 people. The time from dusk to dawn is when the infected mosquitoes are active. To reduce the chances of a mosquito bite, you have to ensure that water does not stand anywhere in or around your house. The mosquito picks the infection up from birds. There is no evidence that people contract the infection directly from birds. But, it is recommended that you handle dead birds or animals with gloves. If you are placing a dead animal in a garbage can, use a double plastic cover. The City of Arlington has a surveillance system in place to drain standing water and will adopt targeted spraying if there is a positive West Nile virus mosquito sampling. Before spraying, the location and the time of spraying will be conveyed to residents through news media. To address the problems posed by pests, an Integrated Pest Management or IPM approach is recommended. IPM looks at the life cycles of all pests to apply a solution that will be comprehensive and not temporary. It makes use of both chemical and non-chemical methods. A company which provides pest control services has to procure a certified applicator license. Eligibility for the license includes having at least 12 months of verifiable pest control experience in the 24 months prior to application and must have possessed a technician license for at least 6 months. Otherwise, they can apply if they have a degree in the biological sciences from an accredited college or university. Alternately, applicants can provide proof of previous employment or experience in the industry or technical field experience of at least 12 months out of the previous 24 months. Applicants for the Technician License have to sit for a Technician examination category in which they have completed the required hours of course work. The license can be revoked if it is proved that the service has engaged in pest control services in a manner that could be injurious to the public health, safety, or to the environment. The license can also be revoked if the licensee performs work in a category for which the certified applicator or technician licensee is not licensed or an apprentice is not trained or licensed.